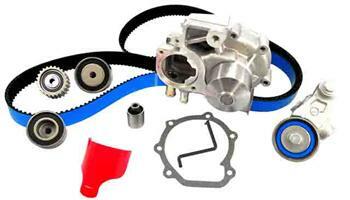 Timing belt driven water pumps should always be replaced at the same time as the timing belt. Gates Racing kits include High Performance Timing Belts, pulleys and tensioners as well as a water pump. With Gates TCKWPs, all critical system components can be replaced at the same time.